Finely crumble the graham crackers (in a food processor, if you have it) and then add the melted butter and sugar. Pulse (or stir) until well combined. 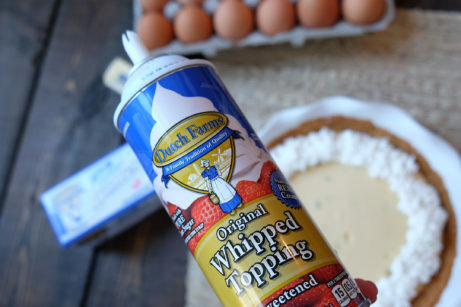 Press the mixture firmly into the bottom and sides of a buttered 9” pie pan. Bake for 8-10 minutes and set aside to cool on a wire rack. 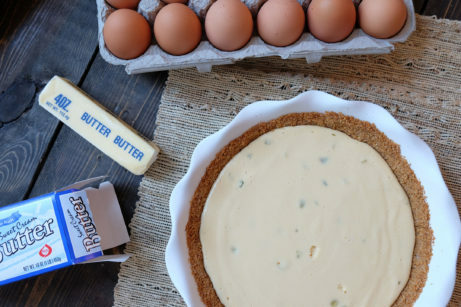 Beat the egg yolks and lime zest with electric whisk until fluffy, about 5 minutes. Add in the condensed milk and continue to beat for 4-5 more minutes. On medium speed, add in the lime juice and beat for 1 more minute. 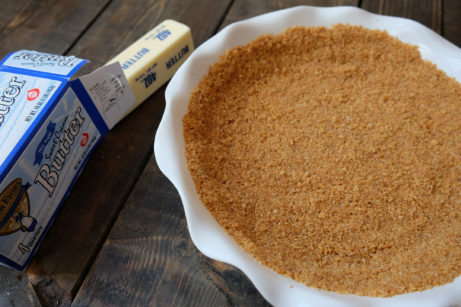 Pour the mixture into the cooled crust and bake for 10 minutes or until the filling is set. Cool on a wire rack and place in fridge. Sprinkle the coconut flakes on a baking sheet and place in oven for approximately 1-2 minutes, until they turn a very light golden brown. 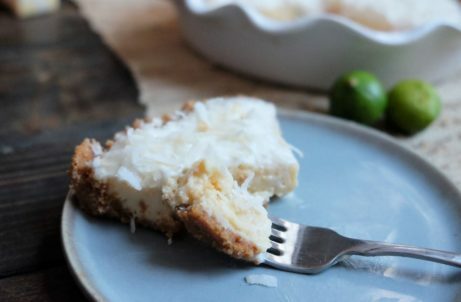 For best results, freeze the key lime pie 20 minutes and then top with Dutch Farms Whipped topping and the toasted coconut flakes just before serving.